This afternoon we at RGA Investment Advisors published our investment thesis on IMAX Corp (NYSE: IMAX). The report was featured at Manual of Ideas' Beyond Proxy, and I've also included an embedded PDF available for download below. We look forward to any additional thoughts, critiques, and/or ideas about our thesis. Want to invest in one of the best, most innovative startups in the world with taking none of the risk associated with a startup, and more potential upside than many of the most popularly watched private market web names like Facebook? Look no further than the strongest brand hiding behind the Google name: YouTube. YouTube is turning into a huge business, and were it a standalone start-up, the company would easily be one of the most valuable Internet companies and one of the most hyped. Instead we hear little about YouTube’s business other than the obligatory question and non-answer answer on each Google quarterly conference call about when/if/how much money YouTube will make. Today, YouTube seems even more an afterthought in the narrative about Google the company than Android and Google + and I can’t help but find the irony and humor in it all. While everyone is waiting for Google’s true “social” answer, and even Google itself is out there searching (pun intended), YouTube is in fact a social, technology and media behemoth in its own right. After all, it is the place where “going viral” became the thing to do (speaking of which, here’s a cool video with Kevin Alloca, YouTube’s “trends manager” on what actually makes a video go viral). Facebook is the startup darling of the world, Netflix at times has been the streaming superstar, and Apple is…well…the apple of everyone’s eye. Meanwhile in between watching hours of YouTube videos a day, everyone forgets that a) YouTube has an amazing business model and b) Google is both cheap and sitting on a competitive Trojan Horse. Let me explain. I’m oversimplifying here, but in content, there are the producers, the distributors and the consumers. When anyone talks about content distribution companies, and video in particular, the cost of content is important in determining the bottom-line profit. The true advantage of streaming video is that on a relatively small fixed cost base, a distributor can reach every web-connected person on Earth. In an ideal world, that sounds like a simple and great business, but the content producers have only been willing to engage the distributors with largely one-sided terms. The content producers know full well the value in distributing via the Internet, so they even created their own distribution service—Hulu.com. Netflix has used its DVD business, the company’s cash flow machine, in order to fund content acquisition for its streaming service. As streaming has gotten easier and more popular amongst the masses, many have fled DVDs for streaming, thus forcing Netflix to improve its content mix online. As their early contracts expired, the company found itself having to negotiate in a position of need with the studios, and since then has paid a hefty price. Meanwhile, YouTube just keeps doing its thing. Worldwide, people view 3 billion YouTube videos per day, which for perspective is “the equivalent of nearly half the world’s population watching a YouTube video each day, or every U.S. resident watching at least nine videos a day.” While Netflix and Amazon are out paying (more like begging for the right to pay) for content, YouTube users are willingly uploading 48 hours of content per minute for FREE. Granted not all YouTube content is as desirable as the content others are paying for, but considering how many people watch videos on the site every day, it’s safe to conclude that at every minute YouTube is gaining more valuable content at no expense. In the process, YouTube has already become a heavily entrench business with a strong brand name and strong brand loyalty. When people talk about the competition for online video success, particularly in financial circles, the competition pits Netflix against Amazon, with Apple sometimes entering the fray and Google a total afterthought. That needs to stop. As of today, YouTube has already reached deals with CBS, BBC, Universal Music Group, Sony Music Group, Warner Music Group, the NBA and the Sundance channel, amongst others (contract list from the CrunchBase). Some of these deals were reactionary to growing pressure from content producers at the copyright infringing uploads done by YouTube users, but at the end of the day, these content deals have done a whole lot to enhance the quality of the videos available on YouTube and entrench the site as THE go to platform for video. Notice a theme with these content deals? Many of the early deals are music-centric. There is no better place on the Web to watch high quality concert video than YouTube, nor is there a better place for an artist to debut their new song via a video (even VEVO uses YouTube), with MTV now a soap-opera-type channel lacking any coherent connection to music. Witness Cee-lo Green’s catchy release of F*ck You with the words literally dancing across a blue projection screen. This was both a powerful and catchy way for Cee-lo to get his song out to the masses, and was a catalyst behind the song’s ascent on the pop charts. The Cee-lo release provides the perfect segue to YouTube as a platform. YouTube is a disruptive medium in itself, but more interestingly it has become a platform upon which other disruptions are launched. At the same time, YouTube has also become a video platform that is ubiquitous across all viewing platforms. Although a web-page in itself, YouTube is a “channel” (rather app, but what’s the difference these days?) on any web-enabled TV device from designated viewing devices like the Roku or AppleTV to gaming systems like the Xbox. The point is that YouTube has both incredible reach to its audience, and is an innovative vehicle for some of the world’s foremost innovators. Even Apple can’t deny this reality. In addition to debuting singles on YouTube, there are successful artists who owe their entire careers to the medium. Look no farther than Justin Bieber (geez I promised myself that name would never be typed into this blog…), someone who would never have been “found” had it not been for the site. Bieber isn’t alone. Daniel Tosh has built an incredibly popular show on Comedy Central based entirely off of YouTube videos, and the Young Turks have become serious news pundits from their YouTube show. Louis CK, a comedian with a strong cult following, used YouTube in an entirely new way by releasing his “Live at the Beacon” directly through the platform. “Lucky” Louis went on to sell this show for $5, with customers able to pay and watch instantly. This is far cheaper than a DVD retails for, and a much easier way to directly connect with an audience. The move was both highly profitable for Louis, and rewarding for his fan base. When you have a business that works better for all the parties directly involved than the existing business model, you have a powerful force. It’s cheaper for fans, more profitable for the artist, reaches a far wider audience than anything else, and has fewer intermediaries taking a cut. Stuck in the middle is YouTube/Google easily (and happily) collecting its margin. It’s only a matter of time before more artists follow Louis down this path. And YouTube’s appeal isn’t limited to music, comedy and entertainment. The Khan Academy is using YouTube as platform to disrupt education. While it is a non-profit that produces free, high quality educational content for view via the YouTube platform, let’s not dismiss the fact that the Khan Academy is proving the power of the platform as a way to not only reach those interested in learning, but to fundamentally change the way eager students learn. TED Talks has also used YouTube in a similar manner as a platform to bring informative, educational videos to the masses. We’re only just beginning. YouTube is following the path of the Innovator’s Dilemma, and all of the dominant market leaders in the sectors impacted by the company are already on high alert (if you haven’t already done so, go read the book now, or for a short-cut read my blog post on it). YouTube has firmly entrenched itself on the low-end of the video-watching marketplace, and I mean this both in terms of Internet video, and video in the broadest possible terms. Further, YouTube has significantly deflated the cost of distribution and consumption, making both effectively free in many contexts for the content producer and the viewer respectively. In doing so, YouTube generates a fairly high margin on its advertising dollars on. As YouTube has earned more and more money on the “low hanging fruit” (aka the free stuff) they have been able to step up their acquisition of premium, higher quality content. Some of the aforementioned deals are evidence of this. In other words, the company is using its entry level product, which has helped it gain market share, in order to fund its climb higher up the distribution tree. As a result, the company is in the midst of a further pivot up its S-curve (H/T to Your Brand is Showing for the graph). The current technology is the combination of TV/Cable/Internet that we presently view video on, while the emerging technology is YouTube. In my imprecise opinion, right now YouTube is somewhere around the big red dot that I drew on top of the chart. The company is on its parabolic ascent, but has yet to reach and cross the current technology in its prowess, largely due to the defensive posturing of the existing infrastructure. But that can’t last forever. As the chart indicates, and as is typical with disruptive innovation, YouTube’s day is coming rather quickly. Keep in mind we’re talking about a company and technology barely more than six years old. It was within the past two years that we were introduced to high definition video for streaming, that we were able to watch YouTube video’s on our television, and even more recently, that content was divided into organized channels. Not long ago, YouTube had a major success in acquiring streaming rights to a premier Indian cricket tournament for live games. Viewership surged far quicker than anticipated, and was more profitable than anyone expected. Soon many of the major sports leagues will have their television contracts expiring, and one can imagine that YouTube will be a player for the rights, especially considering their already strong relationship with leagues like the NBA and NHL. If YouTube were in fact the first to bring mass-streaming of live sporting events to the American masses, they would be the first to truly liberate video viewing from the existing infrastructure and into the digital age. After all, live sports viewership is probably the single largest impediment to would-be chord cutters today (myself included). "When you think about the impact cable had, we think we're in a position to have a similar impact for video delivery, like what cable has done with broadcast. In the early '80s, you had three or four networks. Now those three or four networks are responsible for 25 percent of viewership, and the cable networks are responsible for all the rest. Right now, the fraction of traffic that is Web video is small relative to broadcast and cable, but it's growing at a fast rate. What's amazing is that the Web enables you to build a kind of channel that wouldn't have made sense for cable, in the same way cable enabled you to build content that wouldn't have made sense for broadcast. You couldn't have done CNN with the broadcast networks; you couldn't have done MTV with the broadcast networks." Now that I have established a benchmark for how awesome and disruptive YouTube is, the next step is to take a look at the number. If you’ll remember, my initial premise was that one can buy one of the most disruptive, innovative companies today without taking any of the venture capital risk, for free. This requires that I establish two premises: 1) that Google without YouTube is at most, fairly priced, if not downright cheap, and 2) that YouTube as a stand-alone entity would be worth a sum exceeding $10 billion in market cap, and in a range that reaches northward of $20 billion. For that I will have to follow-up with a second post, but I will not leave just yet before beginning the next step of the argument. Using consensus analyst estimates on revenue for 2012 (courtesy of Business Week), a 10% WACC and 4% perpetual growth, Google has an earnings power value plus growth of $680, that is a 7% premium to this price. YouTube itself accounts for a mere 4% of Google’s in this estimate, and if you removed YouTube’s revenue contribution entirely from Google, the price drops to $653, a 3% premium to today’s price. From this, we can deduce that YouTube represents about $27 per each share of Google, or a total intrinsic value of $8.7 billion. Before next week’s post on how to value YouTube, I just want to finish off by stating my belief that $8.7 billion is way too cheap for such a valuable web property, especially when companies with lower revenues like LinkedIn and Zynga are trading for near $10 billion, and Facebook is pricing at over $100 billion. In a recent social brand value analysis by BV4, a brand value ratings agency, Facebook checked in with the highest brand value of any social web property at $29.1 billion, with YouTube in second place at $18.1 billion. Assuming a $100 billion market cap for Facebook, and applying Facebook’s brand value to market cap ratio, that pegs YouTube at a $62.2 billion value. UPDATE: The last paragraph has been edited to input the correct brand value and market cap numbers thanks to Matt in the comments below. Again, more detailed numbers analysis to follow sometime next week. GeoEye (NASDAQ: GEOY) is an integrated satellite imaging firm that owns the satellites in space and the on-ground image processing. The company contracts these resources and the accompanying service to various government and private sector entities. GeoEye has two satellites in orbit already—the IKONOS and the GeoEye-1—with a third preparing for launch sometime during the course of 2013. GeoEye-1 has a resolution of 41 centimeters, while GeoEye-2 will have a resolution of up to 25 centimeters, with the highest precision reserved for the U.S. government only. Satellite imaging is used for a variety of purposes, including but not limited to defense, disaster response, air and marine transportation, oil and gas exploration, mining production and exploration, mapping of remote regions, location-based services, insurance and risk management, agricultural crop management, etc. The stock is trading at a discount to book value at $22.01/share. Tangible book value checks in at $18.17/share. Where the book value analysis gets more interesting is in trying to build out a reproduction value for the company. GEOY carries their satellite value at $817 million on their balance sheet, with $145 million of accumulated depreciation. The company’s first satellite, IKONOS has been fully depreciated since 2008, yet it remains in space and producing revenues for the company. The company operates in a capital intensive business, with significant barriers to entry, where the useful life of the assets is demonstrably longer than the time in which they become fully depreciated. Looking at this first from the asset valuation lens, it becomes clear that for a competitor to reproduce the business that GEOY has already built would cost substantially more than the carried value on the books of the satellites. For the sake of simplicity, I think it’s fair to say that at the very least, a competitor would have to spend an amount equal to the carried value of the satellites, plus the already accumulated depreciation of $145 million, in order to viably compete with GEOY. In adding that back to the tangible book value of the company (all goodwill has been excluded) you get an adjusted reproduction value that is approximately $24.50 per share. That is a 20% premium to today’s share price. There is further hidden value at the company in the form of a cost-share agreement with the US Government for the launch of GeoEye-1, the first color, high-precision commercial image satellite launched into space. GEOY accounts for the cost-share payments in the following way: “amounts received from the U.S. government are recorded as deferred revenue when received and recognized as revenue on a straight-line basis over the useful life of the satellite.” The gross amounts of the deferred revenue are carried in the company’s backlog and not on the books themselves until the payments are actually received from the government. Once the payments are received they are then carried as deferred revenue until they are recorded as revenue alongside the corresponding amount of depreciated cost for the satellite itself. For 2012 and beyond, there is a total of $148 million left of repayment for the cost on the GeoEye-1 that the government pays out as $6.0 million monthly, or $24 million per quarter. Using a 12% discount rate on the remaining contract, it has a net present value of $110 million to the company. I added $110 million to the company’s reproduction value, because this provides further clarity about what a private market valuation would be, and what a potential purchaser would have to pay to buy the company. Plus there is a substantially high degree of certainty that this money will reach the company, irregardless of whether the government scales back on commercial satellite contracts (to be discussed more in risk factors below). When this is added to the tangible asset value, it gives the company an adjusted book value of $29.50, a 40% premium to today’s market price. Next, I added the $110 million in NPV for the backlogged GeoEye-1 cost share into the cash value for my earnings power valuation and subtracted the $24 million annual amount that will be recorded as revenue from the actual earnings themselves. This helps provide a more realistic valuation of the company’s actual earnings power. At present, the company’s earnings power value is below both its carried book value and my adjusted book value. This typically indicates that management is destroying value equal to the difference between the actual book value and the earnings power value, for even a company in a perfectly competitive environment’s earnings should be equal to the value of the underlying assets themselves. That begs the question, is management destroying value? And I think the answer is clearly no. There are several factors that negatively impact the earnings power value, one of which is the revenue recognition for government contracts, and the accelerated depreciation schedule for these satellites compared to the actual useful life. Also relevant is that once the GeoEye-2 enters space, the company has an existing contract with the government that will have the U.S. paying an additional $183 million per year for imaging and the commensurate services. When this is in place, the company’s earnings power will be $22.60 per share using a 12% WACC. It’s important to assess the competitive advantages for any company, particularly one in which the claim is made that the reproduction value is greater than both the asset value and the present earnings power value. Further, in order for a company to earn real economic profit, they need some kind of competitive advantage. Here is where the company is particularly unique, as GeoEye benefits from several crucial advantages, many of which pertain to barriers to entry. First, is the capital intensity of the business, as satellites are expensive to build and expensive to launch. For a startup company in the field, they would have to raise substantial capital just to get into a position to win a contract, let alone, develop the team and experience to manage the equipment itself. Next and most importantly, are the regulatory barriers to entry. Not anyone can just launch a satellite into space. Permissions are needed at various steps along the way. Permission must be obtained for the launch itself, permission must be obtained to allow the satellite to orbit, and last, permission is needed from both a Defense and Intelligence standpoint from the government in order to take imaging of the entirety of the Earth. For logical reasons, the government doesn’t want anyone and everyone to be able to take whatever pictures of the Earth that they would like, and as a result, the government has historically monopolized and dominated this field for themselves. Collectively, the governments of the world with the capacity for astrodynamics have complete control in deciding who can and cannot launch and operate satellites, and as such, the regulatory barriers are substantial. Further, once a satellite is in space, orbiting and providing a service, it is increasingly unlikely that the government would allow yet another satellite for the same commercial purposes. The reasoning here again is simple, while space itself is vast, the space in which imaging satellites can orbit is finite. The more crowded that orbit zone is, the more likely it is that some problem would arise. One limit to the GEOY’s competitive advantage is that in exchange for the government subsidizing a portion of the build and launch fees, and having done so following a competitive bid process, the company has little bargaining power for the costs of its services with its largest customer. This limitation is mitigated however, as the government authorizes GEOY to seek additional clients, including foreign governments and private companies, for services in which there is little competition for the reasons mentioned above. As such, the amount of services that can inevitably be sold are very scalable once the satellites are in orbit. As of now, the US government remains the largest client of GEOY, and this should continue to be the case as the government scales down its own space operations. The US government itself represents approximately 2/3rds of the company’s revenues. GEOY has several long-term contracts with the government, the largest of which was signed in August 2010 and can reach a value up to $3.8 billion. The problem with this particular contract, and one of the overhangs plaguing the stock, is the government’s option to renew the contract annually, instead of it being guaranteed for the full term. GeoEye-2 is slated to launch during 2013 along with the NGA’s other large commercial satellite customer, DigitalGlobe. The NGA has asserted they think all contracts would “stand up to the scrutiny” (quoting a paraphrase). It seems as of now the repercussion may be adding an additional “passenger” in the form of another satellite to the slated launch on the Atlas 5, a comparatively expensive spaceship, but one that is fully domestic in terms of build and operation within the US. Beyond the US government, other governments around the world have contracted for GeoEye’s services, and in the private sector. 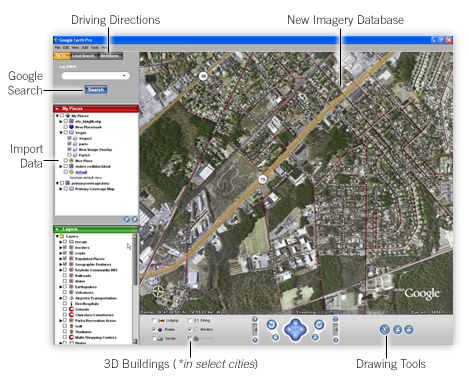 In the private sector, Google uses GeoEye’s satellites for Google Earth. Just this year the company announced a “multi-million dollar contract” with the Russian government to provide imaging services, however the full terms have yet to be disclosed. Cerberus Capital Management is the single largest stockholder in GeoEye and they keep on growing. The relatively secretive private equity firm, with an outstanding track-record has bought shares as high as the $40s, and continues to accumulate their stake today. Cerberus so badly wants to buy GeoEye that they negotiated with the company and its other large stockholders to allow for an increase in the maximum beneficial ownership interest one can take before becoming an “Acquiring Person” which triggers a poison-pill against acquisition. The poison-pill was adopted during the course of 2011 and limited the maximum ownership to 20% of the outstanding stock before triggering “Acquiring Person” status. In late 2011, this maximum threshold was raised to 25%, and in early 2012 it was again raised, this time to 30%. Each time this threshold was raised, Cerberus quickly commenced further open market share purchases. Cerberus also holds debt positions in the company’s stock. Cerberus, through its portfolio companies, is one of the 100 largest government contractors, and has deep ties with the Defense Department and government itself. They clearly understand the risks inherent in the Defense Department budgeting process, yet despite these known risks they continue to buy more. It’s unclear exactly what Cerberus intends to do with their massive stake in GeoEye (i.e. whether they intend to eventually take over the company, or just hold it passively), but what is clear is they believe that the valuation here offers a very compelling long-term investment opportunity. In the past there had been abundant takeover rumors regarding Cerberus’ stake, having either Cerberus buying out the remainder of the firm, or setting up an acquisition by one of the other defense contractors looking to gain a foothold in the satellite imaging sector. While that is a possibility, I am not factoring in that likelihood in my analysis of the stock. More realistically, what I think Cerberus may do is facilitate commercial contracts between GeoEye and their various portfolio companies offering contract services to the government. The primary risks to the company today relate to the uncertainty over the Defense Department’s budget moving forward. Any large contract is subject to scrutiny, and as such, it’s impossible to determine exactly which ones will remain in force and which will be cut. As of now, the NGA’s budget has been cut by 10% for 2012, but not all the cuts will necessarily reach through to GEOY and the NGA's budget itself is classified so it's impossible to determine exactly what the impact will be as of yet. In April of this year, the White House will release the results of their own review of the EnhancedView contracts for satellite imaging services, and at that time there is the potential for further cuts from 2013 on, or for the confirmation that the conracts will proceed as planned. As part of the review, the government is looking into the scheduled launch of GeoEye-2 aboard the Atlas 5 rocket. There is the potential for the government to require additional space-bound projects on the launch, which could delay GeoEye-2’s launch date. Any delay in the launch would push back the revenues GEOY is set to receive. While it’s certainly possible that the contracts are scaled back, it seems highly unlikely that they would be cut entirely. The NGA has asserted that they “support commercial imagery as a vital part of geospatial intelligence, and EnhancedView as part of the commercial imagery program.” President Obama specifically credited the NGA with their crucial help in the operation to capture Osama Bin Laden and in this age of heightened tensions in the Middle East, combined with an increasingly war-weary American populace, satellite imaging is an invaluable tool in modern warfare. Further, with global warming increasingly a problem, satellite imaging has emerged as an important tool in disaster readiness and disaster response management. It's hard to imagine cuts will run too deep in this space. Author Disclosure: No position, but may initiate within the next 72 hours.